My investments into new icos journey post 1. We had bad start of this year , but seems crypto market now is more stable and have chance to grow again, so i started to invest more into new icos and buying more and more new tokens with fiat. I will post once in a week some report of my portfolio and i will not include my etherium,bitcoin and tokens in exchanges into it, and only will share my tokens from new icos and what are in my etherium wallet. 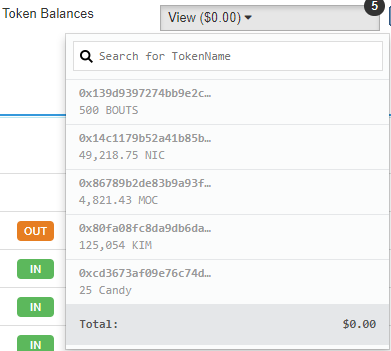 So far im around 2.7 ETH in investments, but because no exchanges im 0$ in showing, hope in next 3-5 months all will change, i will try to post this kind of post once in 2-4 weeks. These are the worst ideas . Why would any of these be desirable? that said thanks for posting. they are not for long term but for short around 3-6 months, plus some of them are kinda good projects, the things are in terms of btc/etherium its good to invest into ico,because its not hard to make some profit. Thanks for the update, best of luck in the wild world of ICOs!